The St Mirren goalkeeper has been drafted into the squad as cover for Allan McGregor and Matt Gilks. Scotland manager Craig Levein has drafted St Mirren's Craig Samson into his squad ahead of the World Cup qualifier against Macedonia. Samson is needed as cover while injury doubts remain over Allan McGregor and Matt Gilks. David Marshall is the third keeper in the squad. McGregor suffered a groin injury in Scotland's friendly against Australia last month but made a faster than expected recovery in time to play for new side Besiktas ahead of the national side's qualifying double-header. However, there are concerns that the goalkeeper may not be fit to play a second game in four days and with deputy Gilks also a doubt, Samson will serve as back-up to Marshall. The Saints number one has been in impressive form over the last eighteen months and was rewarded with a call-up for the friendly against Cyprus last November but has yet to win a full cap. "Charlie Adam has a wee problem, Matt Gilks picked up a problem in training yesterday and Allan McGregor has the same thing but nowhere near as bad as he was," Levein said. "I am hopeful that all three will make it." Levein said that McGregor would make a call on the game himself. "He is an experienced player and he will know better than anybody if he is fit to play," he explained. 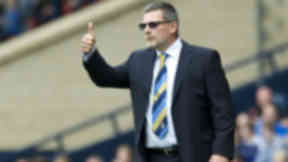 "But I spoke to him and Matt this morning and they are fairly positive and so is Charlie. 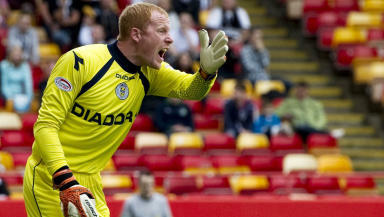 "Craig Samson joined us, he is in to train and we will see what happens." Scotland face what already looks like a must-win qualifier against Macedonia on Tuesday evening after a 0-0 draw in their first World Cup group game against Serbia on Saturday.